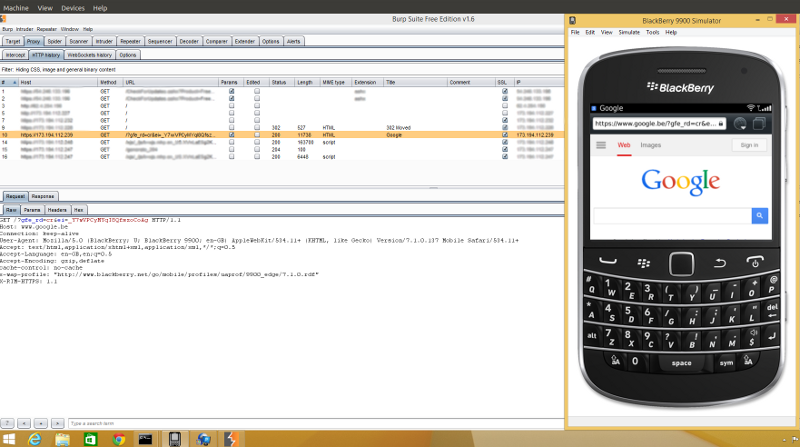 I recently had to play with BlackBerry devices during a penetration testing engagement. It’s quite difficult to find reliable information online about legacy devices (running BBOS < 7.x) so I though it would be a nice idea to share this here. I’ll start this article by explaining how to observe your BlackBerry device communications then I’ll move onto data at rest (internal and external storage), how to get device’s logs and I’ll finish with a note about reverse engineering BlackBerry applications. Of course, if you want to observe HTTPS communications you’ll have to add your own certificate to the device trust store. 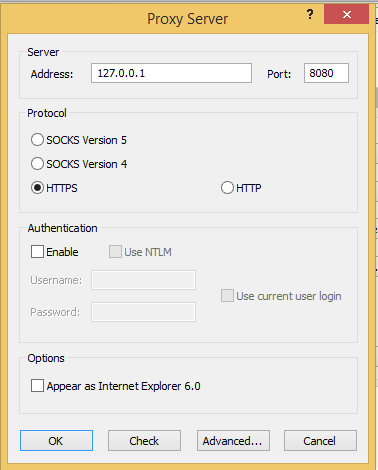 My example involve Burp Suite but you should be ok with any intercepting proxy. 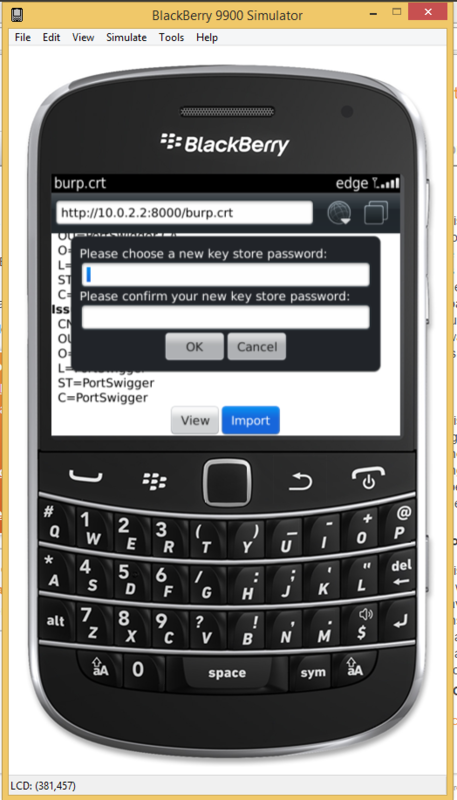 Blackberry OS will detect it as a certificate and ask you if you want to add it in the trust store. Remove all rules except the default one. The best and only way to observe a physical device communications is to bridge a wireless access point to one of your machine interface. You can either do it by using a physical access point or with a soft access point like hostapd. If your drivers allows you to create soft access point take a look at the create_ap script. Really good stuff there ! Note that in that case you’ll need to configure Burp as an invisible proxy. If the device use an enterprise account with a RIM enabled sim card you’ll see that the device encapsulate traffic into a proprietary protocol designed by RIM called Server Routing Protocol. 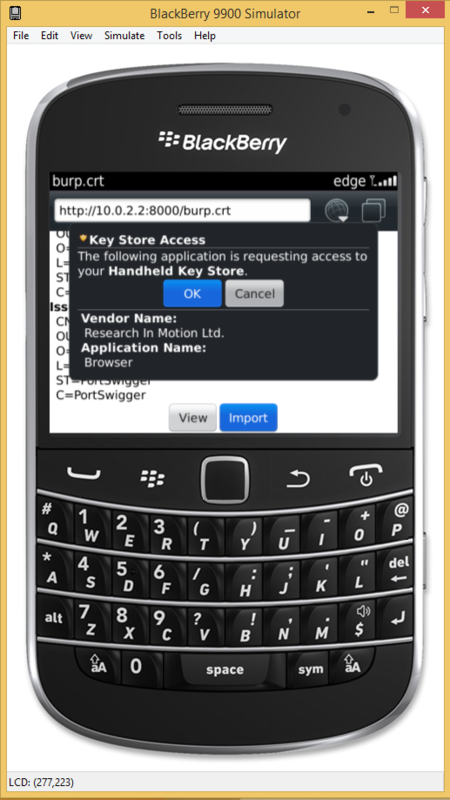 The BlackBerry Server Routing Protocol (SRP) is a proprietary protocol used by BlackBerry smartphones, and the BlackBerry Enterprise Server to communicate with BlackBerry Routers, and the wider BlackBerry Infrastructure for electronic mail delivery, SMS-style messaging (“PIN” messaging), calendar synchronisation, and handset security policy/connectivity settings delivery, among other things. It typically operates on TCP ports 3101 (BlackBerry Router), and 4101 (BlackBerry Desktop Client) - neither of which have been registered officially with IANA for this purpose. Unfortunately, RIM/BlackBerry have not provided full protocol documentation for SRP; although a rough glimpse at its structure, and (inaccurate) payload type IDs have been published as a result of reverse-engineering; and a work-in-progress dissector is being developed as part of Bug #8225.
bjavaloader provide a way to get the complete list of installed packages. I usually pipe this command to obtain a cleaner output. 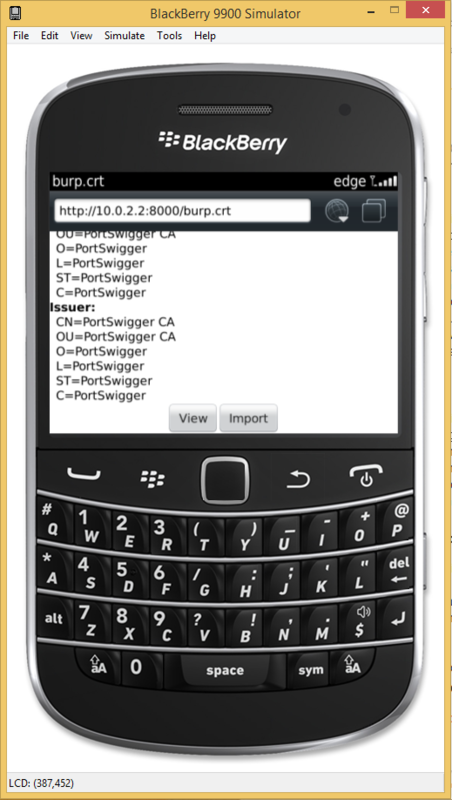 You can access device logs in BlackBerry Simulator by clicking on “View” -> “Output Log” which opens a window with device logs. You can save these logs to a file if needed via the provided menu. Please note that developers use EventLogger to log information and that it’s only available through USB debugging. There is no mechanism that allows applications to access the device logs in a programmatic way. With a physical device, you can use barry to dump the event log and stack traces if the application crashed. RIM provide a mechanism to backup all data stored on a BlackBery device. This mechanism allow a user to backup specific data (contacts, sms, call logs, …) or all of them. The backup file is saved as a .bbb file which can then be use to do a recovery onto another device. You can use barrybackup to execute this process. Backup functionality is password protected if the user has set one. BlackBerry users can define a device password to prevent unauthorized access to the their device. By default, the device will allow the user 10 tries before wiping the device. Once the device is wiped and if the user set sdcard encryption, there is no way for an attacker to retrieve the sdcard content. sdcard encryption is enabled with the encryption option set to “device password” or “security password”. sdcard encryption is enabled with the encryption option set to “device password and device key” and device dump available. ElcomSoft Phone Password Breaker (Logical, recover password, decrypt sdcard files). is there a device password ? What’s the strength of this password ? Is Sdcard encryption enabled ? With which options ? Is device encryption enabled ? With which options ? How many failed attempts are allowed ? What’s the policy when it’s done ? The best policy to protect against data acquisition through physical access is to disable SD card encryption and to enforce the use of device key + device password as an encryption option for the device storage. The device user must be aware of this policy so it do not store sensitive informations on the SD card in use with his device. If this policy is deployed, only software available to law enforcement officers will be able to recover data assuming the device’s user has given his password. coddec is a tool developed by Dr. Bolsen that disassemble BlackBerry applications back to BlackBerry JVM assembly code (think of Smali code for Android). The tool was somewhat buggy and s7ephen from don’t stuff beans up your nose released a patch for it, making it more reliable with COD files built with the latest JDE version. Problem is, this tool was creating path Windows style which was a real mess so I fixed it to run on Linux and included in my repository. $ bjavaloader dir | cut -d" " -f3 | grep -v "^$"